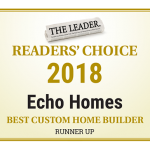 News - ECHO Custom Homes, LLC. Here you will find the latest Echo Custom Home being built in Montgomery County. This Lake Conroe Custom Home will be perfect for our clients Needs, Wants and Budget. Contact Echo Custom Homes today to learn more about the build process and let’s get started on your home today! Custom Home Builder – Build a Custom Home by end of Summer! Echo Custom Homes LLC. 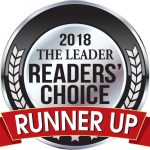 is a Proud Member of the Greater Houston Builder Association, National Association of Home Builders and the Texas Association of Builders… We build all over the Greater Houston Area including Garden Oaks, Oak Forest, Houston Heights, Magnolia, Conroe, Montrose, East Downtown, Cypress, Tomball and River Oaks. Contact Us today for a Full Build Area List! Oak Forest Custom Home Builder and More…. Echo Custom Homes LLC. is currently taking clients all over the Greater Houston and Surrounding Areas. From Garden Oaks, Oak Forest, Houston Heights, Montrose, Bellaire to Montgomery, Conroe and Magnolia… we have you covered! Feel Free to contact us today with any questions or plans that you would like for us to review. Talk Soon! Echo Custom Homes LLC. is excited to announce their upcoming Contemporary Project set for Independence Heights. With utilizing space in mind this lofty contemporary plan will offer an artistic vision bringing both studio thoughts and forward thinking ideology together at a very attractive price point. Stay tuned for more details!